Mark's Daily Apple What is Iodine Deficiency? Yesterday I mentioned that sea vegetables are a great source of iodine . “But what is iodine?” many emailers asked. Well, dear friends, iodine is elemental. Let’s take a trip through the land of iodine to learn what it is, what it does for the human body and whether you should make an effort to get more iodine in your diet. Iodine is a highly water-soluble trace element that’s rare in the earth’s crust, but fairly prevalent in its seas. Our bodies require it, for several reasons. Our thyroid glands use it to make thyroid hormones (T3 molecular weight is 59% iodine; T4 molecular weight, 65%), and a severe deficiency  can manifest in the development of goiter , which is the thyroid gland swelling up in an attempt to keep up the pace of iodine uptake from the blood and thyroid hormone production. Lovely stuff, eh? Other common symptoms of iodine deficiency include hypothyroidism and hyperthyroidism. It can also increase the incidence of early mental retardation (iodine deficiency-related retardation is the most preventable kind, in fact), and even stunted infant brain development, provided the kid even makes it out alive: iodine deficient pregnant women  are at a higher risk for miscarriages and stillbirths. Today, most table salt has been iodized, and most processed food is in turn made with plenty of iodized salt. As Richard pointed out  a few months back, an unintended benefit of the SAD may be the adequate intake of iodine! Ironically, hyper conscious eaters who eschew all processed foods and sprinkle shavings of the purest Himalayan salt blocks (reconstituted, perhaps, from the sweaty pits of organic Sherpas) on their meals may be missing out on iodine. Sea salt does contain trace amounts of iodine, being from the sea, but what’s there degrades pretty rapidly. Subsisting on sea salt alone is almost certainly inadequate for iodine intake. If you avoid processed food  (as you should), be sure to eat sea vegetation  from time to time. Iodine dosage is a tricky one to get a handle on. While the RDA of 150 micrograms is sufficient to prevent goiters (kinda like the RDA for vitamin D  is enough to prevent rickets), it probably isn’t optimal, and humans can definitely handle larger intakes. After all, coastal-dwelling sorts, like the Japanese, have regularly been consuming iodine-rich sea vegetables for ages without wide-scale thyroid problems – some even suggest this level of intake is preventive against thyroid disorders and breast cancer . Most accounts put them at 5-12mg of iodine daily. The Japanese also consume a fair amount of soy, which has been shown to be antagonistic to iodine uptake, so perhaps they’ve found a balance between the two. At the same time, iodine supplementation can be overdone, leading to hyperthyroidism. I lean toward the RDA being short sighted and rather inadequate, to be honest. The tolerable daily upper limit of 1 mg seems better. As they tend to do, the experts cast iodine in a single, solitary role – as the prime regulator of thyroid health and function – and ignore any possibility that it’s important in other realms, too. That’s madness, just like it’s madness to presume vitamin D  is only about protecting rickets, even as evidence of its cardio-, immuno-, and carcino-protective effects mount. It’s often stated that the thyroid only needs around 100 micrograms of iodine per day to manufacture sufficient amounts of thyroid hormone and this is used as evidence of the RDA’s accuracy. But only 30% of the body’s total iodine content is concentrated in the thyroid. The rest of it is found in the mammary glands, eye, gastric mucosa, cervix, thymus gland, and salivary glands. If the body is doing something with any sort of consistency, if there’s a pattern to its processes, it’s probably playing an important – even if not entirely understood – role. Let’s take a closer look at how iodine functions in the human body. The fetal thyroid gland begins to function at the 11 week mark of gestation, and at the 18th week, T4 is being produced by the fetus in order to develop its nervous system. The child’s neurological development also depends on proper functioning of the fetal thyroid glands. Sufficient iodine intake (by the mother, of course) is required for sufficient thyroid action in the fetus, just as it’s required in adult thyroids. After birth, the child still depends on the mother for his or her iodine. Those little brains are experiencing their most rapid period of growth and development, and they need plenty of iodine to avoid impaired cognitive development. Nursing  increases the dietary requirement for iodine. Iodine has been effective in the therapeutic treatment of certain immune disorders , and researchers are beginning to understand how it works on the molecular level. Research  (PDF) shows that iodine often gathers in damaged or diseased tissue, and it accumulates during phagocytosis, the process by which our immune systems attack, engulf, and consume foreign bodies or bacteria, suggesting a crucial role. During an acute infection, T4 hormone is actually subject to deiodination – the removal of iodine from thyroid hormone – and the resultant iodine is presumably mobilized for defensive aid. When the thyroid is starved of iodine, it takes whatever it can get. And if an influx of radioactive iodine is suddenly made available, say, after a nuclear disaster, our thyroids will lap it all up if there’s a deficit in the body. After the Chernobyl disaster, for example, residents living in areas which administered pharmacological doses of potassium iodide in response to the blast reported  (PDF) far fewer incidences of thyroid cancer when compared to residents that did not receive iodine supplements. It makes sense, then, to keep your iodine levels topped off to prevent uptake of radioactive iodine. To figure out if you’re deficient in iodine, consider taking an iodine loading test. Dr. Eades discusses this in his latest book , and here’s how it works: take a large, 50mg dose of iodine; over the course of the next 24 hours, monitor the iodine levels of your urinary output. If you excrete most of it – say, 90% of the 50mg – you already have adequate stores of iodine. If you excrete very little iodine, that’s an indication of an iodine deficiency that your body is trying to correct. If you’re deficient, consider eating more sea vegetables (daily) or taking an iodine supplement. Lugol’s solution  and Iodoral  are both good choices that many in the Primal sphere have taken with great success. Besides the obvious example of sea vegetables and seafood, eggs , milk , yogurt, and strawberries all contain decent amounts of iodine – enough to satisfy the RDA, at least, but not to achieve higher, possibly more therapeutic levels. Those who eat a lot of raw broccoli, cauliflower, cabbage, brussel sprouts, bok choy, collard greens, mustard greens, Chinese broccoli/cabbage, radishes, rutabagas, turnips, rapini, kale, millet, soy, cassava, spinach, pine nuts, pears, peaches, sweet potatoes, peanuts, or bamboo shoots should supplement with iodine or consider swapping in some sea vegetables. 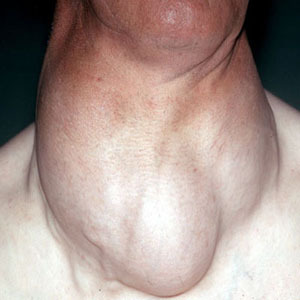 The aforementioned are all sources of goitrogens, which, when eaten raw, prevent iodine uptake by the thyroid gland. Cooking takes care of most of the problem, but variety is always good. Those with poor intakes of selenium , vitamin A, and iron  may be at a greater risk for iodine deficiency symptoms. Eat your salmon , liver , and eggs , folks! Those with minor hypothyroid symptoms (weight gain, sluggishness, fatigue, fuzzy brain, cold extremities) may want to consider eating more sea vegetables or supplementing with iodine. Richard Nikoley apparently solved his hypothyroid problems  with 12.5 mg of iodine a day, and his experiences were corroborated by several commenters. Note that folks suffering from chronic iodine deficiency may react poorly (hyperthyroidism) to a sudden bout of iodine supplementation, if the starved thyroid begins producing thyroid hormone in excess. At the same time, excessive amounts of supplementary iodine can actually prompt the thyroid gland to halt production of thyroid hormone. This is a protective measure, since unchecked amounts of thyroid hormone are dangerous, but it can lead to a chronically down-regulated thyroid hormone production if iodine intake is excessive. Talk to your doctor or endocrinologist if you’ve got established thyroid issues, like Hashimoto’s thyroiditis, (which has a confusing relationship with iodine ; iodine deficiency seems to be the cause of HT, but once you’ve got it, iodine can make things worse by further increasing the thyroid’s resistance to iodine uptake) before supplementing. Thyroid issues are incredibly complex, and too much iodine can actually exacerbate existing thyroid disorders just as too little can create them, so concrete recommendations can’t really be established. As always, nutrition is incredibly individualistic. We may need the same basic nutrients, minerals, fats, and proteins, and we may react poorly to the same Neolithic foods, but it’s all a matter of scale and degree. If you have any questions about hyper or hypothyroidism let me know in the comment board and I’ll attempt to answer your questions this coming week. And check back tomorrow for a delicious chicken liver recipe. Grok on!